SKINCARE BEAUTY BRAND / A - Z There are 647 products. 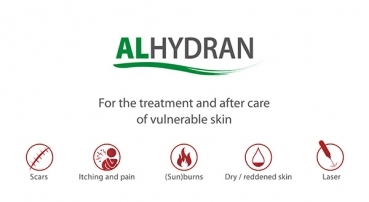 ALHYDRAN is a medical scar cream. ALHYDRAN is widely used in burns centres and hospitals. Avène, a rich history that begins in a small village in southern France. The village of Avène, ancient and picturesque, is located in the Orb Valley, in the heart of the Regional Natural Park of Haut Languedoc. State-of-the-art dermo-cosmetic know-how for quality, effective and safe care. 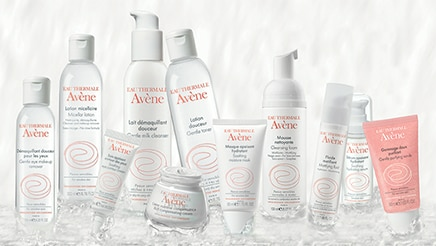 Avène Thermal Spring Water is the main asset of all our treatments. These are also lavished on the thermal site itself, closer to the Source. They testify as much to the power of our research as to our pharmaceutical culture and our dermo-cosmetic know-how. And demonstrate the success of a successful synergistic alliance between Thermal Water and our innovative, safe and patented assets. BIOCYTE, WHEN ANTI-AGING CREAM IS NOT A CREAM! Cell biology (also known as cellular biology) is the gateway to understanding the factors involved in aging. It is against this background that Biocyte decided to address three major factors involved in aging, tackling them one after the other for the past 10 years. In the past 20 years, some major advances have been made in the field of esthetic medicine, but very few in the field of pure cosmetics. The first visible factor of aging is our esthetic appearance, the way our skin and hair look. Biocyte built its foundations on this aspect, pioneering a brand new discipline: NUTRICOSMETICS. This is the natural follow-on from cosmetics, with a deeper, more global and more durable action. In 2015, for the 7th time, Biocyte won a prize in the 2015-2016 Victoires de la Beauté beauty awards for its Keratine forte serum product. MAXIMUM ANTI-EFFICIENT EFFICIENCY, MORE SAFETY. Our commitment is to offer you a very high dermatological quality, with proven clinical efficacy and optimal safety. This is, in essence, the ambitious goal claimed by the INNODERM laboratory. INNOvations and dermatological INNOcuity to which you all aspire for your skin constitute the foundation on which the study and design of BIO LOGICA anti-aging cosmeceutical care, highly concentrated in hyaluronic acid, is based. ABOUT B Sand Dr. Brigitta Cavegn. A true cosmetic innovation, this new delivery form has revolutionized the application of cosmetic treatments. Made with water, nourishing serum and active principles, Collagena hydrogel has a high degree of flexibility, comparable to living tissue that is naturally compatible with human skin tissue. Developed without a non-woven matrix, Crystal Innovation© hydrogel, whether in the form of a face mask or eye contour patches, is perfectly adapted to all facial shapes. The Crystal Innovation © hydrogel reacts to changes in temperature. In contact with the skin, it releases its load of moisturizing and anti-aging active ingredients and induces moisturizing, tensing and lifting, anti-wrinkle and refreshing effects. Combined with the action of hyaluronic acid, glycerin (hydrophilic molecule contained in each mask) retains water in the upper layers of the epidermis and ensures thus intense hydration from the first application. The nutritive serum contained in the Crystale mask of Collagena © consists of anti-aging ingredients recognized as marine collagen and hyaluronic acid. Dermaceutic Laboratoire is the partner of choice for over 30,000 aesthetic dermatology specialists throughout the world. One of the first cosmeceutical companies to develop products using ingredients such as hyaluronic acid, stabilized vitamin C, and glycolic acid; Dermaceutic has led the cosmeceutical industry in the discovery of effective combinations of ingredients for use in aesthetic dermatology. Through a progressive approach with peel intensity adapted to each patient, and a personal homecare regimen, optimal results can be achieved. The efficacy of Dermaceutic’s cosmeceutical and peel treatment protocols is supported by extensive clinical trials, and the company’s collaboration with industryleading practitioners from around the globe. L’EAU DE NICE remains an authentic and refined product of the French Riviera. L’EAU DE NICE has an invigorating, refined, and subtle scent, with a hint of natural freshness. Faithful to its natural origins, delicately maintained by ancient perfumeries in the hills of Nice, this Eau de Toilette combines citrus accents and violet in a top note that’s wrapped in a radiant floral nuance. The notes of powdery musk remind us of warm spring days. Like its flagship product, star backstage, Embryolisse combines care and beauty for 65 years. In 1950, a dermatologist from a Parisian hospital specialized in cutaneous pathologies created Concentrated Milk-Cream, which became mythical. From this expertise was born a whole range of dermo-cosmetic care passed from mothers to daughters, and from generation to generation. It has the unique peculiarity of receiving both the surety of dermatologists, pharmacists and professional make-up artists. The Embryolisse formulas favor plant-based active ingredients, derived from flowers or fruits, with recognized virtues, with a long medicinal or cosmetic tradition (shea butter, beeswax, aloe vera, soya), combined with dermatological active ingredients such as than hyaluronic acid or collagen. Developed under pharmaceutical control and tested by dermatologists, Embryolisse formulas incorporate the right active ingredients, the right doses and are suitable for the most sensitive skins. The ENEOMEY skincare are recommended to support all the anti-aging techniques such as peels and all the aesthetic acts. ENEOMEY products contain powerful concentrations of vitamin C (collagen and elastin stimulation), phytic acid (melanocyte stabilisation) and glycolic acid (exfoliation and further collagen synthesis) are combined with soothing and nourishing chamomile, vitamins E and A, shea butter, orchid oils and bisabolol to achieve well tolerated highly effective anti-ageing skin creams. The Laboratoire Eneomey devises dynamic cosmetology program whose the anti-aging effect is proven. With the expertise of dermatologists, aesthetic doctors and surgeons, the efficiency is in the heart of the formulation of each skincare. The perfect concentration of the active ingredients, such as stabilized Vitamin C, glycolic acid and phytic acid, gives optimal results. Daily, the experts advise an antioxidant care on the morning plus a sun protection and a stimulating care on the evening. The Eneomey program regenerates the epidermal for a youngest skin, unified and radiant. With its creations of formulas, the Laboratoire Eneomey has combined sensory experience, comfort and efficiency. By defining a new pleasant olfactory identity (without allergen), all skincare combine application pleasure and results. To find an effective and long-lasting solution, ask your doctor or pharmacist for advice. Eucerin is the dermatologist-recommended skin care brand based on honest skin science. It sustains and restores skin’s health and gives you the confidence of a healthy radiant skin. Through working with dermatologists and using advanced technological expertise, Eucerin guarantees reliable and highly effective product innovations on highest dermatological standards. By choosing active ingredients and requiring clinical proof, Eucerin is synonymous for excellent product quality and the combination of effectiveness and superior skin tolerability. With its medical knowledge, skin competence and cosmetic dedication Eucerin is the one skin care brand that delivers a holistic “dermo-cosmetic” approach. Backed up with more than 100 years of Beiersdorf research, Eucerin enhances outer beauty, inner serenity and selfconfidence. Delivering visibly healthier, radiant skin, Eucerin® is the only brand that stands for MEDICAL SKIN SCIENCE THAT SHOWS. textures and results in fashionable shades. beauty and in her beauty products. for contact lens wearers: some 3 million women ! for the numerous, very specific requirements of contact lens wearers. wearers and those with sensitive skin. They undergo full bacteriological and physico-chemical controls. They are approved by Asthma Allergi Forbundet and OICM for those wearing contact lenses and for those with sensitive eyes. 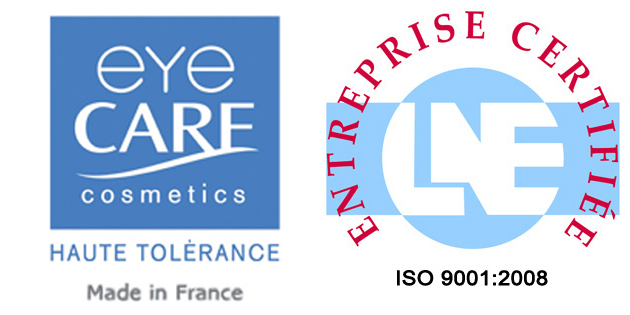 Laboratoires Contapharm are ISO 9001:2015 - ISO 13485:2016 certified. Les Laboratoires Contapharm sont certifiés ISO 9001:2015 - ISO 13485:2016. Filorga prides itself on providing cutting-edge non surgical anti-ageing solutions that include line fillers, polyrevitalising injections (NCTF®), peeling and photo-stimulation (LED). We know that the best results depend on highly effective procedures that associate the right products with the right techniques: this is our key strength. Our products are world-class, developed by a scientific committee of internationally renowned experts (physicians, pharmacists, biologists, cosmetologists). Our aesthetic medicine products are currently sold on sixty markets across the globe. Galenic, Creator of exceptional formulas. Galenic offers the most demanding women high quality care. Each treatment is an exceptional formula resulting from the know-how of the Master-formulators. Combining pharmaceutical rigor and refinement, the Master-formulators imagine for each asset a tailor-made formula that contributes fully to its effectiveness and creates an incomparable experience on the skin. The name Galenic expresses its reference to galenic science. Behind the manufacture of cosmetic products hides a thousand-year-old art, that of galenics. It consists in finding the best assemblies and the most appropriate compounds to ensure the effectiveness of the active substances while providing emotions and pleasures of the senses. To give a maximum of chances to an active substance to be effective on the skin and to touch its target: such is the objective aimed at the galenics, a very old know-how. Driven by his creative passion, Pierre Fabre is inspired by this pharmaceutical know-how to apply it to the world of cosmetics. Inherited from a unique know-how passed down from generation to generation, Galenic has been creating and manufacturing high-quality cosmetics for almost half a century. In a High Quality approach, High Formulation Cosmetics guarantees a rigorous selection of raw materials, tests and verifications led by experts and mastered manufacturing in France. The discovery of the asset is the first major step in the birth of a care. But for Galénic, science does not stop there. If each brand can claim to use powerful assets, these assets can only be effective if we know how to preserve their power and make them penetrate into the epidermis at the heart of the skin. Master-formulators must invent the formula that will preserve the effectiveness of an asset. A challenge for them, step by step, to create a unique recipe, an intelligent and exclusive architecture. Established in 1987, this French pharmaceutical laboratory is now a renowned and privileged player in the health sector (rheumatology, gynaecology and dermatology). Our headquarters are located in the Sophia-Antipolis technology park where we established the number one European centre for cell culture for therapeutic purposes. Imbued with our pharmaceutical culture and expertise, and benefiting from a pioneering laboratory, our experienced researchers have acquired specialised expertise in the field of hyaluronic acid (a key skin ingredient), and particularly in integrating this active ingredient into products that lead the way in the fight against aging. With our expertise in hyaluronic acid consolidated, we now want to make this enhanced cosmetology available to all women in the form of expert cosmetic products. We are enriching our innovative and dermatological expertise in the service of beauty. Innoaesthetics is one of the main innovators for beauty and aesthetics professionals. Dermaesthetic brand which offers to the professional high quality products fruit of innovation and experience. Our work philosophy is a commitment to excellence and the hallmark of our identity stamp and, at the same time, we continue consolidating our international expansionand our reputation among leading professionals of dermoesthetics. INNOAESTHETICS consists of a multidisciplinary team of professionals that combines technical-pharmaceutical knowledge with the scientific-medical support to provide a comprehensive response to the market with it´s own identity stamp. INNOAESTHETICS retrieves the dedication and devotion of the pharmaceutical formulation of the classical laboratory and implements it in manufacturing advanced galenic developments, making exclusive formulas that visibly improves skin appearance. Innoaesthetics provides a large range of products for cosmetologists, dermatologists & beauticians to treat conditions with the help of Antiacne, Anti-Ageing, Depigmenting, Moisturising, Free Radicals Prevention, Solar Prodection and Restructing products. Klorane Laboratoires is a pioneering brand that is committed to the study and preservation of plants heritage. At Klorane, they follow a strict code of conduct based on adherence to pharmaceutical ethics, that involves an extreme level of rigor at every stage of the product manufacturing; botanical expertise. Al of the products are based on plant extracts; authenticity - a founding value of the brand; and a commitment to protect plant heritage. Botanical care that makes sense. For 50 years, Klorane has been working every day with simple and concrete actions to create respectful care, a source of fulfillment for all. Our treatments are made in France from carefully selected botanical assets. KLORANE takes care of you taking care of nature. to reveal the beneficial virtues in botanical care created in France. To transmit our know-how through our foundation. To have the botanical soul, today, tomorrow and everywhere in the world. LA ROCHE POSAY, to change the life of sensitive skin. Recommended by 25,000 dermatologists worldwide, La Roche-Posay Dermatological Laboratory creates care formulated with thermal water of La Roche-Posay to change the life of sensitive skin. Recognized as a public utility since 1897, the thermal water of La Roche-Posay, naturally antioxidant, soothes and softens the skin thanks to a unique concentration of selenium. Its effectiveness, clinically proven, makes it today the 1st European Center for Thermal Dermatology. For over 40 years La Roche-Posay has been working with dermatologists around the world to invent skincare and make-up products that meet their needs and requirements. La Roche-Posay laboratories are a reference in the development of minimalist formulas dedicated to sensitive skin: rigorous selection of assets in optimal concentration, exclusion of any potentially irritating components, formulations without parabens, perfumes and subjected to allergy tests. Its products are dermatologically tested on allergic, atopic or reactive skin. Their effectiveness is demonstrated by clinical and observational studies. Since its creation in 1995, the La Roche-Posay Foundation has awarded more than 160 research grants in dermatology on 4 continents. The brand is also involved, with dermatologists, in campaigns to raise awareness and prevent skin cancer. The flagship ranges: Lipikar (dry skin), Anthélios (photoprotection), Effaclar (acne-prone skin), Tolériane (sensitive skin) and Cicaplast (skin repair). La Roche-Posay offers a wide range of care and hygiene for the body and face for the whole family and dedicated to sensitive skin. 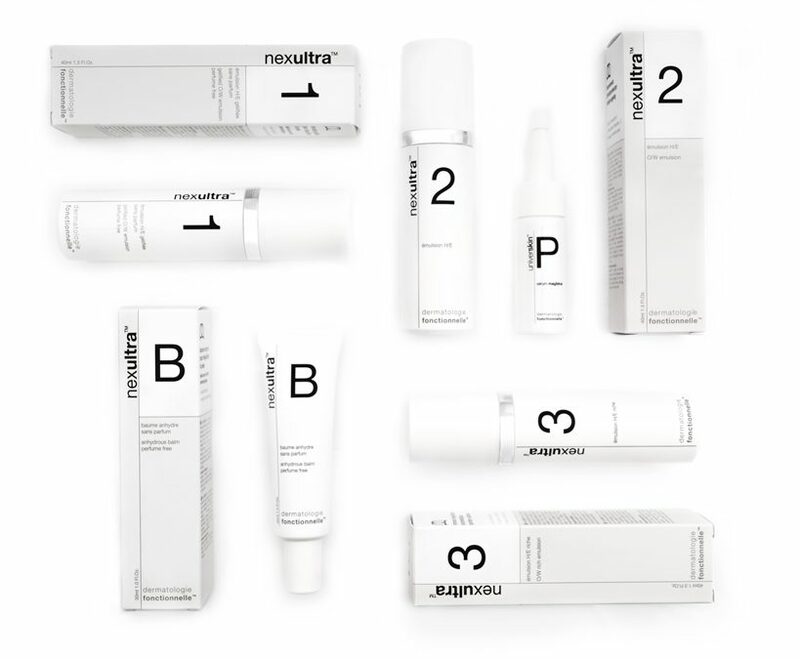 Nexultra features an innovative skin care line that was developed by a leading group of cosmetic surgeons, dermatologists, and skincare scientists. A philosophy dedicated to care and beauty. Throughout the world and for more than 50 years, the name MAVALA has become synonymous with quality thanks to its specific and high performing care and beauty products, developped in MAVALA's scientific Laboratories, concentrating their efforts on innovation and search for perfection. MAVALA, specialist in care and beauty of nails, offers a complete range of products that respond to all nail problems. Because of its concern to innovate and to offer solutions to various nail problems of customers, MAVALA is the most extensive brand in the nail care industry today. In natural line with nail care and beauty, MAVALA offers a range of specific products - the MAVALA Hand Care Programme - based on active ingredients which had never been used before in hand treatment. After many years of research and development, MAVALA creates in 2001 its line of face care and beauty products. The NUXE laboratory has become the leader in the major pharmacy beauty segments. No. 1 oils in France with its famous dry oil: Prodigious Oil ®. NUXE dry oil sublimates body, face and hair. For a prodigious beauty routine, NUXE introduces you to a selection of treatments to choose the face moisturizer, anti-aging cream and moisturizing body cream adapted to your skin type and your age. All our face creams and anti-aging creams are composed of a unique selection of active ingredients contained inside the plant. Each NUXE cream provides an exceptional pleasure of use thanks to voluptuous textures and delicious scents. Oemine line is available in pharmacies and is prescribed by the doctors and nutritionists who know dietary requirements and indications for receiving beneficial nutritional supplementation. Oemine is in compliance with the European regulations on GMOs and irradiation. Oemine nutritional supplements should not replace a varied, balanced diet. itamins are very fragile molecules and it is very important to preserve their natural environment because it protects them and helps them give us the best of them. Plant extracts of Oemine natural supplements are drawn from the heart of nature. Besides vitamins, they contain other elements essential to human body such as: fatty acids, flavonoids, anthocyanins, lecithins, etc. Their manufacturing mode including new technologies focuses on preserving the quality of the active ingredients. Well being by the patch, innovative beauty mask. Beauty patch, innovative beauty mask. Founded in 2013 by brother and sister Léonard and Victoire Arzouni, Patchness is a young Parisian brand specializing in masks and dermo-cosmetic patches, focused on their primary commitment: well-being by the patch. Touching both the field of beauty and that of cosmetics, the brand has set itself the challenge of offering products that are both innovative, fun and effective from their first use. In this research, Patchness provides, through the transdermal patch method, an optimum and continuous diffusion of active principles. A Pure-play aesthetic dermatology company. Perfectha® is intended for reconstructive purposes in the treatment, for instance, of facial lipoatrophy, or morphological asymmetry associated with the ageing process or other underlying conditions. Perfectha is for intradermal and subcutaneous application and is implanted in the areas of the face and hands to fill skin depressions and also for the augmentation of tissue volume. International pharmaceutical company Sinclair Pharma has launched a new skincare range by Perfectha to complement its hyaluronic acid treatments. Perfectha is a hyaluronic acid gel filler used for facial contour correction such as wrinkle filling, skin hydration, tissue augmentation and lip contouring. The new range aims to add to the results of HA treatments and includes their Perfect Skin Brightening Serum, Perfect Eye Contour, Anti Wrinkle 5HA Intensive Cream and Perfect Lips Filler. Providing innovative and high value products aimed at facial rejuvenation through collagen stimulation for volume loss, thread lifting for facial contouring and dermal fillers for wrinkles and lines. Perfectha is distributed by Sinclair Pharma an international specialty pharmaceutical company centred on Dermatology; in particular Aesthetics, Wound care, and Skin care. For PHYTO, beauty requires an in-depth approach. Beautiful hair, beautiful hair can not be conceived without a healthy scalp. respecting the capillary ecosystem and every hair nature. At a time when everything moves, where the lines fade and the landmarks become rare, PHYTO appears as a safe and endearing brand that demonstrates every day that we can still give meaning to innovation and beauty. PHYTO IS NOT FOLLOWING THE CURRENTS BUT CREATES TRENDS. Skin care products even more concentrated in Plant Placenta. Based on our 30 years of expertise in Phytodermatology , we favor natural assets. These assets are rigorously selected by our pharmacists for their efficacy and tolerance. All our formulas are guaranteed without parabens. After two years of research and testing, we successfully developed a range of high-potency skincare products. Unique regenerative qualities using the HA-Boost Complex. Carefully selected ingredients and textures tested by experts to meet all anti-aging needs. Optimised packaging to ensure products are protected, preserved and easy-to-use. Undertake clinical tests to demonstrate the safety and effectiveness of our products. Ensure that our products comply with European regulations and standards. Increase your skin's ability to combat the signs of aging. and highly efficient anti-aging complex, “HA-Boost”. Beautiful skin is a sign of well-being and a healthy lifestyle. The right skin care and the use of high-quality products are vital in this regard. Looking healthy, feeling good. With a view to enhancing your well-being and helping you achieve a radiant, healthy appearance, CROMA has created Princess® Skincare. The exclusive Princess® Skincare products accentuate the natural beauty of every woman. Decades of experience in manufacturing hyaluronic acid-based compounds and unique expertise in aesthetic medicine have made CROMA an internationally recognised specialist in the field of skin rejuvenation. Skincare products provide deep hydration for your skin, helping you achieve a radiant, beautiful appearance. Special combinations of active ingredients prevent signs of aging, reduce wrinkles and support the skin's natural repair functions. The SkinCeuticals story started long before the company's founding in 1994 thanks to the pivotal research performed by Dr. Sheldon Pinnell. In the years since, we have continued to pave the way with breakthroughs that have changed the face of skin science. ADVANCED DERMO-PROFESSIONAL CARE FROM SCIENTIFIC RESEARCH. Our mission is to keep the skin healthy and beautiful. As part of this commitment, we are making a unique promise - providing advanced dermo-professional care through scientific research. The ultra-efficient formulas of our treatments with scientifically proven efficacy (inspired by several decades of research against skin cancer) are highly concentrated in active ingredients and guarantee a high absorption of the skin. Made in the USA, our products are used by dermatologists, cosmetic surgeons, selected pharmacies, medical spas and high-end institutes to correct the signs of skin aging and help prevent damage. at the age. The secret of a resplendent skin of health? Just call a dermatological professional. By combining a home-based routine with highly effective institute treatments and targeted solutions, the result is more beautiful skin and visible improvements in wrinkles, fine lines and other signs of premature aging. Solavie, the 100% natural skincare range from PhytoQuant. Beauty range based on colostrum and plant extracts, Solavie offers unique products dramatically effective. The skin is sublimated, resplendent of beauty and health. A specific range for women and another dedicated to men which use colostrum regenerative properties. It promotes cell renewal, has a wrinkle tensor effect and protects against skin premature aging. Pioneering assets that have made PhytoQuant a real success story. Solavie is a promise of vitality and regeneration for your skin. Harvested from nature, colostrum and plant extracts offer you an infinite life source for your facial skincare ritual. Talika is one of the pioneers of instrumental cosmetics and provides highly effective and non-abrasive solutions to fight against dark spots, blemishes associated with acne-prone skin (blackheads, excess sebum, redness), oily skin, wrinkles, fine lines, lack of firmness, but also cellulite and bulges. In 1948, Danielle Roches imagine a base of plant extracts cream to treat burns of the soldiers' eyes. In addition to effectively heal them, she discovered that this cream stimulates the growth of eyelashes and eyebrows. An unexpected discovery: the mythical Lipocils of Talika was born! Quickly Talika became the expert of eye care worldwide. Products with innovative and effective approaches now allow all women to enable the growth of their eyelashes and eyebrows, but also to take care of their eye contour. Make-up remover, concealer, peeling, you can now have your ideal fresh look withTalika ! Reveal your inner beauty by taking care of your eyes! But Talika is not only an eyecare expert. After developing the Lipocils, the brand continued its commitment to the beauty of women through the development of products for the body and the face. For example, the free skin, inspired by aerospace research, is a highly effective treatment against blemishes and imperfections. RHA resilient hyaluronic acid® Technologie. Teoxane Cosmeceuticals' skincare line has the same crossed-linked hyaluronic acid used in our dermal-filler injections. More than the recognized properties of traditional Hyaluronic Acid, our patented RHA Resilient Hyaluronic Acid® forms a mesh on the application zone that permits active ingredients to gradually be released. Balancing the codes of premium skincare with the rigor of medical science, Teoxane Cosmeceuticals is an innovative skincare line perfectly adapted and complementary to advanced esthetic procedures. Teoxane Cosmeceuticals' skincare line has the same crossed-linked hyaluronic acid used in our dermal-filler injections. More than the recognized properties of traditional Hyaluronic Acid, our patented RHA Resilient Hyaluronic Acid® forms a mesh on the application zone that permits active ingredients to gradually be released. RHA®, our innovative and patented manufacturing technology, allows us to offer a large portfolio of products customized for each indication. It makes our products unique, safe, highly-efficient and long-lasting. 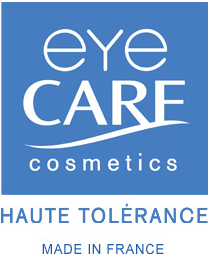 All COSMECEUTICALS by TEOXANE are on France-health, the on-line parapharmacy specialized in aesthetic medicine , mesotherapy and care: all dermal filler brands, hyaluronic acid injections, cosmetic facial filler, cosmeceuticals, medical devices, pre and post injections, cannulas, thread lift , accessory, beauty care and anti-aging products. 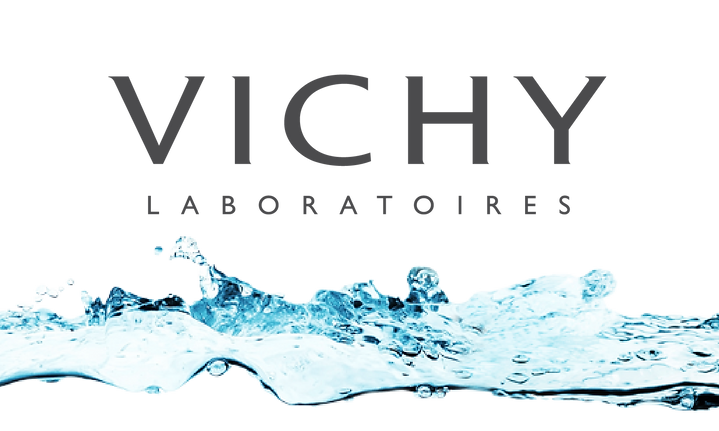 Vichy Laboratoire offers a wide range of products for the face, the body, the hair based on thermal water. Vichy Laboratoire also offers a range of make-up, a solar range and a range dedicated to men. At the heart of all Vichy products, a founding ingredient: Mineralizing Water from Vichy , born in French volcanoes. Pure and natural, rich in 15 Minerals concentrated at 5.2 g / l, it makes the skin stronger against the aggressions thanks to its unique properties: it rebalances , strengthens and regenerates the skin. Since its creation in 1931 by Dr. Haller, Vichy offers women products combining the assurance of safety and effectiveness for sensitive skin. 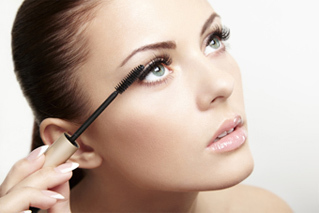 The brands of the Active Cosmetics Division L'OREAL are distributed in all health circuits around the world. The Active Cosmetics Division meets the needs of "frontier" skins, halfway between healthy skin and problem skin, in all health circuits around the world. Thanks to its highly complementary brands and close links with health professionals - dermatologists, pediatricians, aesthetic doctors - the division is the world leader in dermocosmetic products. that makes you beautiful while caring for your skin. actresses of the time and still relevant today with its exclusive formula. LONGCILS BONCZA is the only brand to offer a make-up range specifically designed for the eyes. 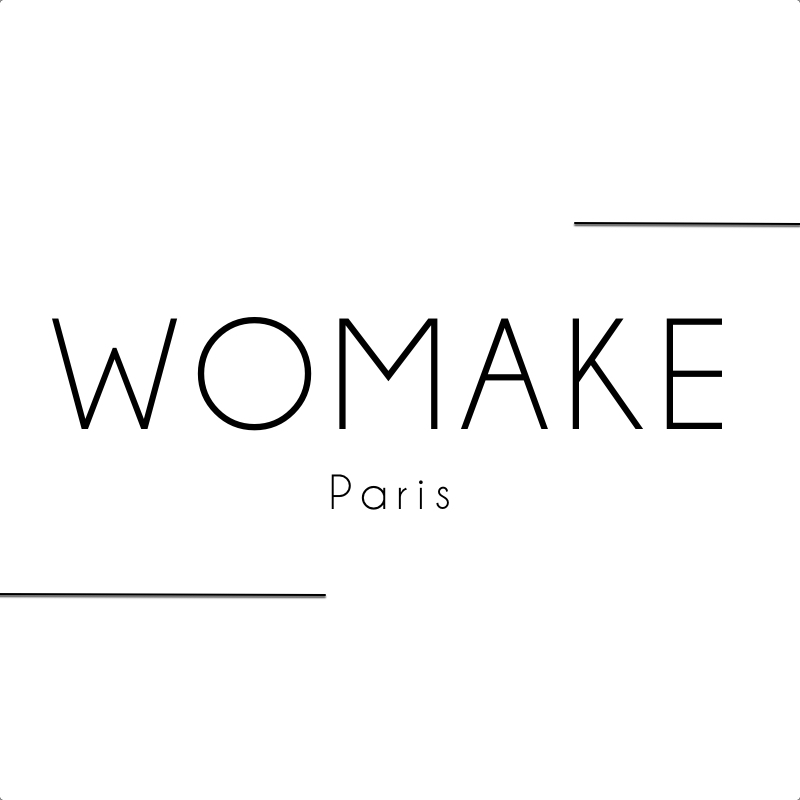 Womake Paris, specialized in semi-permanent make-up increased and move to an international level. up knife, bringing together a wide range of uses in one product. heat, moisture, perspiration, rubbing of your eyes or your lips. to your lip contour and also in lipstick. Hypoallergenic for sensitive eyes or lens wearers. The second innovation of the magic pencil Womake is in the quality of its outfit. Semi permanent tattoo effect pencil it does not run, does not drool and is resistant to friction, perspiration, moisture. In short it will accompany you further and in a better way than many pencils lips or eyes. Mild Nail Polish Remover. With acetone. Mild Nail Polish Remover. With acetone. Extra-Mild Nail Polish Remover. Acetone-free. Extra-Mild Nail Polish Remover. Acetone-free. Nail Polish Remover Pads. Acetone-free. Nail Polish Remover Pads. Acetone-free. Softens and beautifies cuticles. Softens and beautifies cuticles. Thinner. For nail polish. Thinner. For nail polish. Ultra-shiny nail polish top coat. Ultra-shiny nail polish top coat. Gentle make-up removes all sensitive skin. Gentle make-up removes all sensitive skin. Smoothes ridged nail surface. Ridge-Filler. Smoothes ridged nail surface. Ridge-Filler. Erases manicure mistakes. Erases manicure mistakes.